Rob Kardashian Refusing Kardashian Family Help: Will Kris Jenner Send Rob To Rehab Against His Will? Rob Kardashian is refusing to let anyone from the Kardashian family help him as his health continues to spiral. Apparently, Rob hasn’t learned his lesson as he is reportedly still eating the same old junk. If Rob went right back to his bad habits, his sisters must be worried sick. Kris Jenner is reported to be considering a 5150 hold to force her son into rehab. Do you think the momager is making the right move? Right now Rob Kardashian should really be working on his health but apparently he is not. Radar Online reports that Kris Jenner has done everything she can think of to try and help her son. No matter what kind of deal Kris tries to make, they say Rob just doesn’t care. He’s even turned down $1 million to get healthy. Rather than lean on his family during this health crisis, Rob has completely shunned his family. He used to at least talk to Khloe Kardashian but now he’s cut her off too. The fame-hating Kardashian is said to be “holed up” at Khloe’s house where he lives. Rather than taking yoga classes and eating more veggies, Rob has been calling for a whole lot of take-out. There’s nothing healthy about the burgers, fries and pizzas that Radar claims he’s been ordering. No wonder his family is freaking out. If Rob doesn’t change his diet, his health will only get worse. Kris Jenner is so worried about her son, Radar reported that she might put have him committed against his will. Kris fears that Rob’s refusal to take better care of himself is putting his life at risk. Would Rob’s mom really have him locked up and treated against his will? You would think Rob would want to help himself and he’s certainly had plenty of opportunity. 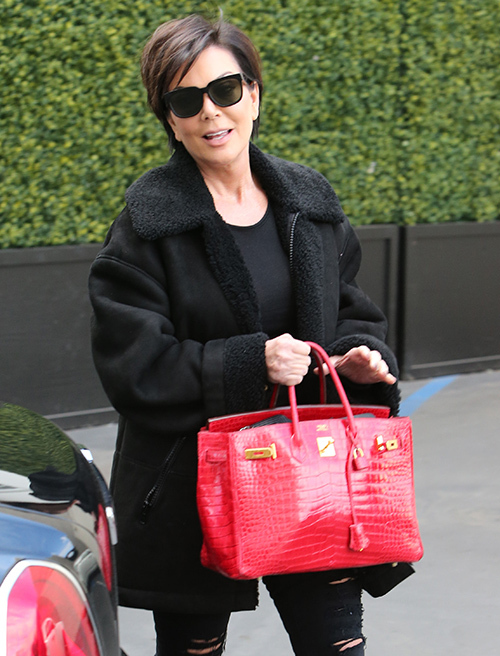 Do you think Kris Jenner is going to be able to help Rob Kardashian, even if he doesn’t want her to help? Rob Kardashian’s Rapid Weight Gain And Health Scare – Kris Jenner Says His Liver Is Shutting Down! Kris Jenner Tricks Rob Kardashian Into Attending Rehab? Rob Kardashian, Kris Jenner Feud Heats Up: Kris Calls Kanye West Son On Birthday After Snubbing Rob’s Special Day! Rob Kardashian Spites Kris Jenner: Getting Gastric Bypass Surgery, Losing Weight and Getting Sober? Rob Kardashian Weighs 350 Pounds, Battles Drug And Gambling Addictions: Momager Kris Jenner To Blame? Rob Kardashian Charges Kris Jenner $50,000 To Appear In Kardashian Family Christmas Card – Feud Escalates?